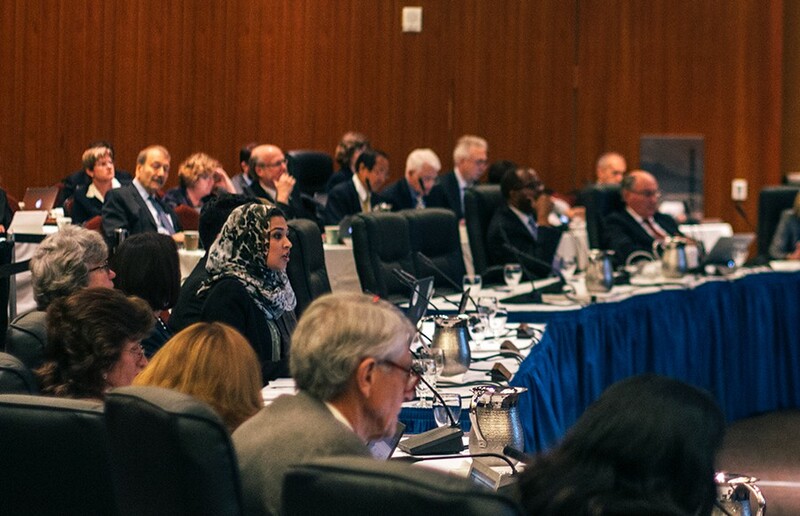 SAN FRANCISCO — The UC Board of Regents discussed efforts to institutionalize food security across the university at its Thursday meeting. 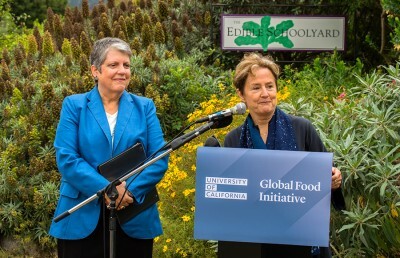 The Food Access and Security Subcommittee — part of the UC Global Food Initiative, launched by UC President Janet Napolitano in July 2014 — provided to the board information about the extent of food insecurity at the university. It also proposed a model to alleviate the issue, with initiatives on both campuswide and systemwide levels. 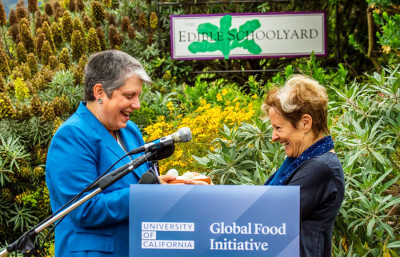 The UC Global Food Initiative, organized by Napolitano and the chancellors of all 10 UC campuses, aims to encourage research and affect policy discussion to broaden global access to nutritious food from sustainable sources. In its first phase, the initiative aims to develop the best practices that can be shared with communities nationwide. At the university itself, however, “self-reported student hunger has been on the rise over the past five years,” according to the action item. “Sadly, we found out food insecurity doesn’t just exist in poor regions of the world — it’s happening with students on our own campuses,” said Regent Bonnie Reiss at the meeting. According to the 2014 UC Undergraduate Experience Survey, 26 percent of undergraduate students experience some degree of food insecurity, responding “somewhat often” or “very often” when asked whether they skipped meals to save money. At the meeting, Ruben Canedo, another member of the subcommittee, said that under current calculations for financial aid, UC Berkeley students are expected to spend, on average, $9.42 per day on food. Canedo said a solution is being developed with initiatives on three levels: financial aid repackaging, individual campus recommendations and systemwide coordination and partnerships. “We are the national leader in developing a model of this scale,” Saifuddin said at the meeting. 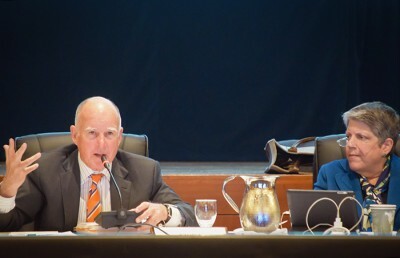 In January, the subcommittee hosted the California Higher Education Food Summit at UC Santa Barbara. The summit resulted in a proposal to allocate $75,000 to each campus in support of food security, according to a release. Each campus is now forming a working group and is expected to submit a plan detailing how it will allocate those funds for efforts such as hiring staff and purchasing food for emergency relief, according to the release. After the public-comment section of the meeting, about eight individuals stood up to protest against a development project on the UC Gill Tract Community Farm, which they said could be used instead as a center for urban agroecology and food justice. Wearing paper Napolitano masks and holding letters that spelled “produce,” they stopped the meeting for some minutes before walking out. The initiatives are part of a broader effort to alleviate student homelessness, hunger and malnourishment by 2025, she said. “I don’t think students should ever have to make the decision between a textbook and a meal,” Saifuddin said at the meeting.